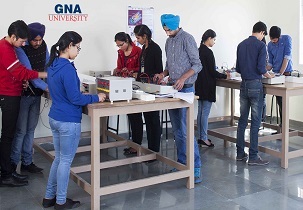 Engineering is a artistic profession and a detection of modernization at GNA University delivering various branches like Electronics and Communication, Aerospace, Mechanical and Mechatronics Engineering & Civil. 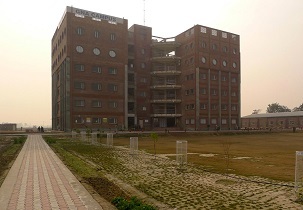 The chief concentration of Faculty of Engineering and Technology is the adaptable improvement of its upcoming technocrats so that they can strive at universal levels and can to face the international challenges. The institute’s vision is to position itself as leader in excellence and innovation in the arena of engineering. The institute delivers its graduates with best excellence education in engineering and prepares them to exercise their professions proficiently to encounter the ever-changing necessities of community. Diversity and excellence in research and shape on its robust association with industry. 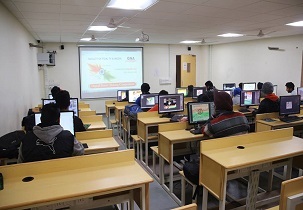 The institute inspires a essence of entrepreneurship amid its students so as to offer a learning atmosphere that stimulates innovation and excellence, principled practice and accountability towards humanity. Write Your Reviews on "GNA University School of Engineering and Technology"
Are you Interested inGNA University School of Engineering and Technology"? Please provide the following details. Ask Question on "GNA University School of Engineering and Technology"?